The public is familiar with chiropractic care for back problems, but they often don’t know that this type of treatment can also help with foot problems and ankle pain. The skeletal system is an intricate structure that connects in complex ways. Often, realigning the spinal column can help with gait problems that lead to foot or ankle pain. At Balanced Health Medical, your doctor will investigate the function of your entire skeletal structure, including lower extremities, to ensure that you are able to enjoy pain-free movement throughout your day. The old song about “the hip bone connected to the…leg bone” was correct in stating the relationship between all the bones of the body and how they function to allow effective movement in the human skeletal structure. When problems arise in the lower spine, they affect movement in the hip, which ultimately transfers down the leg and into the ankles and feet. The body’s efforts to try to correct misalignments on its own can lead to ankle pain and foot problems such as plantar fasciitis, which can cause intense pain during walking. Chiropractic methods can help to re-align spinal structures to provide better movement throughout the body, reducing lower extremity pain and improving overall function. Balanced Health Medical offers a variety of techniques to improve function in the lower body. Spinal adjustment ensures that the spine is functioning at optimum levels. It can relieve pressure on spinal discs and nerve endings. Massage therapy may be used to heal soft tissues injuries, and corrective exercises can help to strengthen muscles that support the foot and ankle. When necessary, acupuncture can be used to provide drug-free relief from chronic foot and ankle pain. These methods can provide successful treatment of lower extremity discomfort, so patients can enjoy their usual activities more comfortably. Dr. Calabria, Dr. Inkelis and the trained staff at Balanced Health Medical work hard to provide the highest quality care for their patients in New York. Their conveniently located office on the Upper East Side near Rockefeller Center provides a range of services to eliminate discomfort and improve function. We pride ourselves on providing individualized care for our patients, so they can resume their normal activities in greater comfort, with better strength and flexibility. 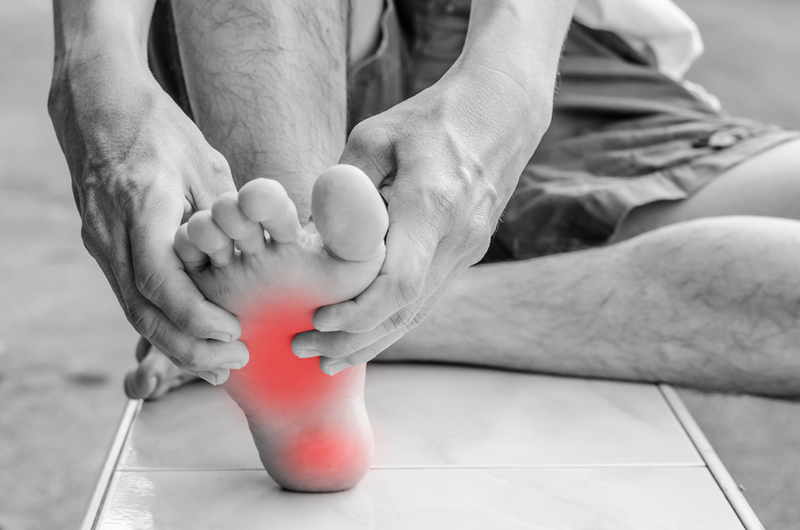 Call Balanced Health Medical today at (212)-755-1717 for an immediate appointment to discuss how chiropractic treatment can help your foot and ankle pain.